WASHINGTON – Nearly 629,000 people who came to the United States on a visa in fiscal 2016 stayed after it expired and were still here at the end of the year, the Department of Homeland Security reported Monday. The “overstayers” made up only a fraction of the 50 million people who entered the country on a visa last year through a seaport or airport. But they still accounted for as much as 42 percent of the estimated 11 million undocumented immigrants in the U.S. by 2014, according to one advocacy group. The number of overstayers in the DHS report did not include people who entered at land ports of entry, a number that the department said was “more difficult” to track. William Stock, president of the American Immigration Lawyers Association, said the numbers indicate a need to reprioritize efforts of immigration enforcement agencies. 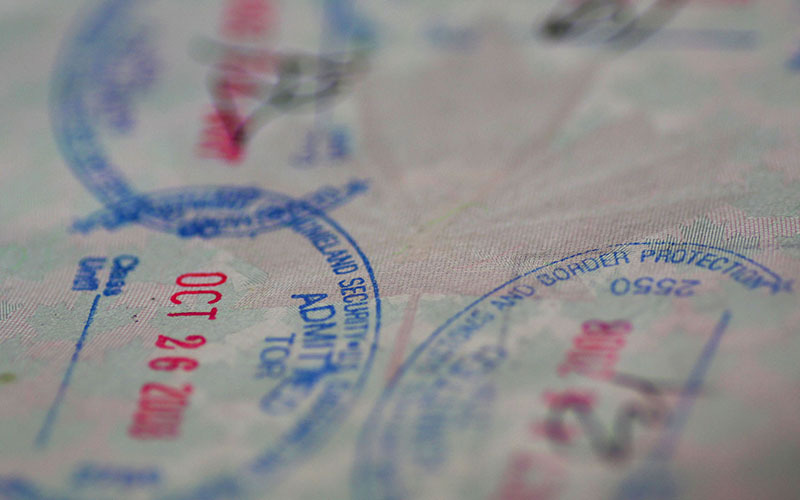 A report by the Center for Migration Studies said that people overstaying their visas have exceeded people crossing into the U.S. illegally every year since 2007. The number of people overstaying their visas calls for tighter regulation of visas and things like a nationwide eVerify system to check the citizenship status of job applicants, which would cut employment opportunities for undocumented populations, said a spokesman for group that advocates for immigration reduction. “That’s concerning, when you have that many people who are entering the country under false pretenses,” said Ira Mehlman, media director for the Federation for American Immigration Reform, which has also called for tougher enforcement of illegal border crossers. DHS said in a statement following release of the report that Immigration and Customs Enforcement will ramp up enforcement of visa overstays. “To protect the American people from those who seek to do us harm, and to ensure the integrity of the immigration system, ICE has recently increased overstay enforcement operations,” the statement read. It specifically mentioned a plan to expand the use of biometric data – things like facial recognition and fingerprint scans. That data, currently collected from travelers entering the country, would be checked against those leaving, under the DHS plan. Monday’s report was the second annual by DHS on the question of people overstaying their visas, following one in January 2016. But Stock said that U.S. policy regarding visa overstayers has been relatively tight since 1996. People who overstay a visa for 180 days can be barred from re-entering the United States for three years, he said, while those who stay a year or more beyond their visa’s expiration can be barred for 10 years. “The 10-year bar creates a perverse incentive for someone who has violated their status, it’s an all-or-nothing kind of situation,” said Stock, who said it gives less of an incentive to leave legally given the stiff restrictions on re-entry. The report showed that a significant number of those who stayed in the U.S. after their visas expired left before the year ended. In all, 739,470 people were reported to have overstayed their visas in fiscal 2016, but only shortly 628,799 remained by the end of the fiscal year. Stock, an immigration lawyer who works with visa overstayers, said a big chunk of the 110,671 people who violated the terms of their visa but left the U.S. often overstay their visas by short periods like a few days. Rather than focusing on policy crackdowns on visas, especially for short-term overstayers, he said a pathway back to legal status would be a more desirable alternative.